The Grand Opening of The Cake Bar and the 1-year anniversary at the Franklin Art Center! The Cake Bar will celebrate the opening of their new location, 17 East Central Street (formerly Cafe Dolce), on Saturday from 9:00 a.m. to 9:00 p.m. For more information about The Cake Bar check out their website, www.thecakebaronline.com. Ian and Linda Kabat have invited all Partnership members to their anniversary event on Saturday from 5:00 to 7:00 p.m. at the Frankin Art Center, 5 Main Street. 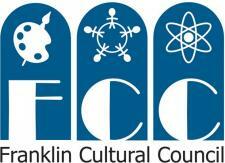 For more information go to their website, www.franklinartcenter.com.